Everyone wants to win a Bram Stoker Award®. And every author of an eligible work wants to give that work the best possible chance of winning. On the other hand, no one wants to be deluged with spam. And no one wants the reputation of the Awards to suffer from the effects of ruthless campaigning or outright dishonesty. To clarify what’s acceptable and what’s not when promoting a work for the Bram Stoker Awards®, HWA’s Officers and Trustees have formulated the following guidelines. They are effective immediately. Please respect them. Questions? Contact the Bram Stoker Award Co-Chairs at stokerchair@horror.org. PUBLICIZE: The very best way to promote a book for a Bram Stoker Award® is to publicize the book as widely as possible. Most HWA members who participate in the Bram Stoker Award process are voracious readers and enthusiastic film buffs, and subscribe to a variety of magazines, newsletters, and web sites that offer reviews and ads for horror-related material. REVIEWS: If you are an HWA member, you might find our list of horror reviewers useful. Access it in the Members-Only section of the website. ADVERTISE IN THE HWA NEWSLETTER: If you are promoting a book, you or your publisher may take out an advertisement for it in the HWA Newsletter. However, you may not solicit for award recognition in the ad, including the use of phrases such as “For Your Consideration.” See our Newsletter Ad Guide for details. a notice in the regular Internet Mailer sent out to members. Visit the Members-Only section and look for the “Promote Yourself” link in the navigation column. You may only submit ONE WORK per form. If, for instance, you wish to submit multiple short stories you must submit them individually. This is because the system automatically submits and tracks each work. Multiple submissions on one form may lead to some of your works not being considered. The Bram Stoker Awards® Committee has set 11:59PM (Pacific Standard Time) on November 30th each calendar year as the cutoff date and time for all Jury submissions. This is to give the Bram Stoker Awards® Juries a reasonable cutoff date for accepting submissions in order to read them and deliver their Recommendations for the Preliminary Ballot by 15 January of the following year. If the work was/will be published between December 1st through December 31st; however, it may be submitted to the appropriate jury by 11:59PM on December 31st (Pacific Standard Time). This applies ONLY to works published during that time; works published prior to November 30th but submitted after November 30th will NOT be considered. If you expect your work to be published in December you should try to submit a PDF or MS of the work to the Jury Chair prior to 30 November (any work that will be published in December will certainly be at least in a manuscript form that the Jury could review). This Ruling does not impact on the separate ‘Members’ Recommendation process. Works can still be Recommended by individual members using that process until January 15th of the following year. As a service to members, the HWA allows the authors, author’s agent, or publisher of recommended works and to provide a link to where the member can access more information on the work. Only members have access to the Members-Only Bram Stoker Awards page. Only the author, author’s agent, or publisher of the work may make this request. or to an email address where the reader can request a copy of the work for free. You do not have to be an HWA member to activate your link. 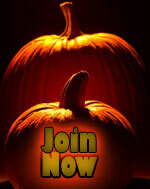 MEMBERS: HWA members can check the Members-Only Bram Stoker Awards page. NON-MEMBERS: Non-members may check the Bram Stoker Awards ® Reading List. If your work appears here you may provide a link by contacting the Compiler at compiler@horror.org. If your work does not appear, it has not been posted to the members-only recommendations page. That being the case you cannot provide a link or request a link at this time. Check back regularly to see if your work has been posted. At that time, and not before, you may provide a link. HOW: If your work has received a recommendation, you may supply the Compiler with a URL or email address for linking and ask that your link be activated. Via Email: You may provide free copies of your work to any HWA member who requests one. Do not send a file without first receiving permission with a query to the member. HWA members can access the Member Directory of all HWA members willing to receive promotional material from you in the Members-Only section of the website. Look for the link to the Member Directory. Please READ the warning message at that page about proper use of the list. OPT-IN EMAIL: You may send ONE mass email consisting only of an invitation to join your list. Only members who respond affirmatively may be included in future mailings. “Opt-out” arrangements are not acceptable. And remember never to use such a list to solicit Bram Stoker recommendations or votes, either for yourself or for anyone else. PLEASE NOTE: When sending mass mailings, we highly recommend using the BCC function in your e-mail program in order to hide the addresses. The correct terminology to use in opt-in offer emails is “I/we am/are offering a copy of this work to you for Bram Stoker Award® consideration.” Any attempt to solicit recommendations or votes in these mailings is a severe breach of protocol and is likely to offend other members. MESSAGE BOARD ANNOUNCEMENT (members only): You may use the Members-Only HWA forum to post one (and only one) Bram Stoker promotional announcement about each of your eligible works each year. If you are not an HWA member, you may have an HWA member post the announcement in your behalf, or you may contact the Bram Stoker Award Co-Chairs who will post an announcement for you. FACEBOOK ANNOUNCEMENT: You may post one (and only one) promotional announcement about each of your eligible works at the HWA Facebook group; award consideration announcements may be posted only on Saturdays. We recommend that you use the announcement to supply links to locations where people can obtain the work or find out more about it. If you choose to offer a copy of the work you should use the phrasing, “I/we am/are offering a copy of this work to you for Bram Stoker Award® consideration.” Do not solicit recommendations or votes. Note also, that you may not post the text of your story on the HWA Facebook page. PRELIMINARY AND FINAL BALLOT MAILER: A Special Internet Mailer will be sent to members with summaries and links offered for download from the various works appearing on the Preliminary and Final Ballots. These links are intended for (voting) members only and are not to be shared by anyone who isn’t authorized. Please note that works are copyrighted material and sharing the links without permission is in essence, theft, and may result in the member’s dismissal from the organization and possible legal actions taken by the offended party(ies). After the preliminary and final ballots have been announced, if your work appears on the respective ballot, you may place a notice in the special “Bram Stoker Awards Preliminary/Final Ballot” issue of the HWA Internet Mailer telling members how to obtain a copy. To place your notice, contact imailer@horror.org before a specific deadline that will be announced at a later date. WHEN CAN I SAY I’M A NOMINEE? You may mention that your work has appeared on the Bram Stoker Awards® preliminary or final ballot. However, you may not promote your work at all as “Bram Stoker Recommended.” (See point 6 below.) unless it appears on the FINAL ballot. Works that appear on the Preliminary Ballot are NOT Bram Stoker Award nominees. You may not engage in dishonest or deceptive practices. This includes recommending works you have not read, trading recommendations with others, and soliciting Bram Stoker Award® recommendations from friends and acquaintances. Publicizing your work is one thing. Begging for recommendations on a message board or in a mailing to a group of pals is another. Please note that we consider it just as unacceptable to comply with such a request as to make it. It degrades us all and harms the awards immeasurably. You may not solicit Bram Stoker Award® recommendations or votes. And if you are an HWA member, you may not comply with any such request. If you are a member you must not publicize your Recommendations – remember, the Recs process is anonymous (Rule VIn), therefore publicizing your Recommendations is a breach of that Rule. You may not spam the Jury or contact Jurors about your work outside the published process of “What Is Acceptable” above. Spamming will most likely render your work ineligible for Bram Stoker Award® consideration. After you have submitted your work to the Jury you will receive an acknowledgment. If you do not you may query the Jury Chair using their official email listed below. Do NOT under any circumstances email asking how the jury liked your work, or if they read it, or if they are going to include it in their selection, etc. This is unseemly and unprofessional. No Jury is allowed to, nor will, give any feedback other than to acknowledge receipt. Continued contact of this nature may render your work ineligible for further consideration. than receiving junk emails or unrequested attached spam files. Beyond your one new release announcement (see section 4 in What Is Acceptable above), you may not post additional Bram Stoker Award-related announcements in regular editions of the HWA Internet Mailer. Bram Stoker Award-related announcements are limited to the special “Bram Stoker Award® Preliminary Ballot” and “Bram Stoker Award® Final Ballot issues of the Mailer. Only works that appear on these ballots are eligible for inclusion. You may promote individual stories from a fiction collection in the post promoting the collection; however, you may not post separate promotions for both a collection and individual stories from that collection. Members may not post the text of your story on the HWA message board, and you may not post more than one Bram Stoker Award® promo announcement per year per eligible work. Announcements about your work on the message board should be used to supply links to locations where people can obtain the work or find out more about it. You may not promote your work as “Bram Stoker Award Recommended”, nor as appearing on the Bram Stoker Award Reading List. Receiving one, or a handful of Bram Stoker Award recommendations (which is how a work appears on the Bram Stoker Award Reading List) is a far cry from winning the Award or even from being listed on the preliminary ballot. It devalues the Bram Stoker Awards to have their name attached to works whose only defining characteristic may be that one or two HWA members liked them. Authors or publishers who promote their work in this manner run the risk of offending our voting members. You may not promote your work as a “Bram Stoker Award Nominee” unless it appears on the FINAL ballot. Neither recommended works nor works appearing on the preliminary ballot are Bram Stoker Award Nominees. Members are reminded that works submitted to them for Bram Stoker Awards® consideration are copyright and are provided to you for the sole purpose of considering their merit for Member Recommendations for said Awards. Legally and ethically these works may not be passed on to any other party. Should other persons request you to pass on a copy you have received in this manner you should not do so, and should point out to them that the material is copyrighted. Anyone who is unhappy with that legal and ethical position may be directed to president@horror.org. HWA is a writers’ organization and above all we support protecting the copyright rights of our members and all authors, whether or not they are members of HWA. Finally, remember there are Rules for the Bram Stoker Awards®. It’s in your best interest to familiarise yourself with them, here: Bram Stoker Awards rules.